Long gone are the days when things were not as easier as they are now, and all credit goes to the internet. Undoubtedly, the advanced technology has turned this world into a digital one. However, we can’t deny the reality of increased cybercrimes with the rise in innovations and inventions. The most common type of cybercrime is when your data isn’t secured anymore. Here are seven essential things that you can do to safeguard your website right now. 1 – Strong Password Game – When it comes to website security, it is essential to create a new strong password. There are tools available online which help you know the strength of a password. In order to create a strong password, use variety of letters and symbols in it. To protect your website in the best way, it is better to change the password regularly. Also, choose passwords which you can remember easily and nobody can guess. If you are not good at remembering, save the password in a file or note it down in your diary or mobile. 2 – Keep Login Attempts Limited – Do you know that there shouldn’t be more than 3 login attempts from the same IP address? If it happens, your website’s access will be restricted for a certain time period or it might be blocked for forever. Most hackers don’t use the same IP address due to the limitation. This is why they use different IP addresses which make it difficult for them to hack a website. So, don’t forget that login attempts are limited to save yourself from trouble. Word Fence – This plugin has a rating of 4.9/5 and over one million downloads which makes it on the top. Its features include IP blocking, login security, security scanning, and WordPress firewall and monitoring. This plugin is perfect for both beginners and pro users. You can get some more features by trying the premium version of this plugin which covers two-step authentication, country blocking, scheduled scanning etc. I Themes Security – Another excellent WordPress plugin is I Themes Security which claims to provide more than thirty ways to protect and secure a website from attacks. The plugin is available in both free as well as premium versions. 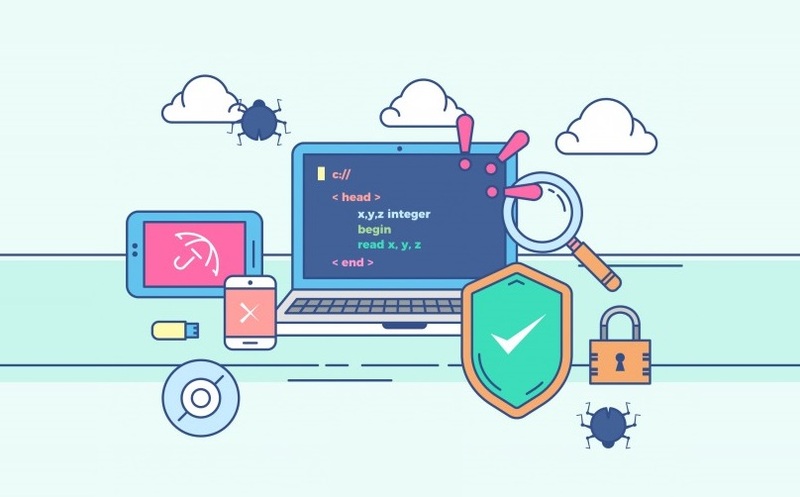 It covers many features including logging user actions, two-factor authentication, brute force protection, ticketed support (for pro users), monitoring core files for any changes, use of secure passwords for particular user roles and file permissions, and locking out users for multiple incorrect credential attempts. Sucuri Security – It offers a free plugin that is available in the WordPress repository. It has numerous security features such as malware scanning, blacklist monitoring, security activity auditing, file integrity monitoring, effective security hardening, and much more. Moreover, it keeps a try of every activity that occurs on your site. 4 – Update Your Software – When your software becomes slightly outdated, there is lesser website security. Hence, the chances of losing website data increase. The best part is you don’t have to update it yourself. For instance, WordPress updates all the time and save your time. All you need to do is download an antivirus which will update and protect your website from hackers and other issues. Luckily, there are many good antivirus programs which will help you so make sure to choose the best antivirus programs for overall reliability and security. Also, whenever there is an update, don’t ignore it instead, update the device as soon as possible to secure it from all mishaps. 5 – Use HTTPS – Using HTTPS for your website security is another great way for security. HTTPS is the best protocol which provides security over the internet and nobody is able to change the content or intercept. If your site contains anything that your users might want private then HTTPS is a must. From credit card details to login pages, everything will be safe and secure with HTTPS. When a website is not secured with HTTPS, chances of attacks are high. Fortunately, HTTPS is no longer as expensive as it once was. Apart from website security, Google made an announcement that they will boost you up in the search rankings if you use HTTPS. Isn’t it great? In fact, Google and other browsers will soon put warnings on every site that doesn’t use HTTPS. So, if you don’t use it, it’s the time to make a change. 6 – Always Keep Back-up – No matter how hard you try, sometimes you lose data anyway. In order to deal with such problem, back-up is the best way to restore all the information and files. This way you can restore your website, too. If back-up occurs on regular basis, your problem will be solved within seconds. 7 – Try A Hosting Company – Lastly, trying a hosting company always work which provides security for your website. Following are some of the most reliable host companies which are preferred by many professionals. Try any of these and you won’t have to worry about your website protection anymore. So, now you know the simple yet best ways to improve your website security dramatically. Following these steps will decrease the chance of hacking to a major extent. Protect your website just the way you protect your house and you won’t be worried about security issues anymore.